Since taking office, President Trump has confronted the North Korean dictator unlike any President in decades. And just recently, the governments of North and South Korea have had direct talks for the first time in 9 years. Despite this development, the Trump administration will continue to maintain pressure on the rogue regime. 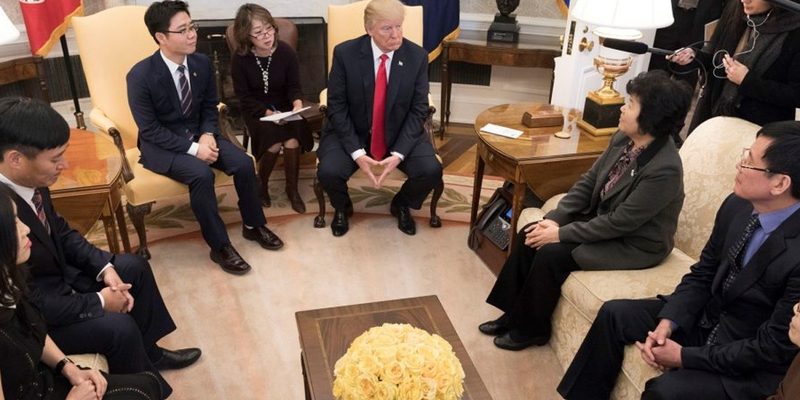 President Trump recently met with North Korean defectors, and Vice President Pence announced in Japan that the United States “will soon unveil the toughest and most aggressive round of economic sanctions on North Korea ever.” This is a President who will remain ever vigilant about this threat until he fulfills his ultimate goal of a completely denuclearized North Korea. 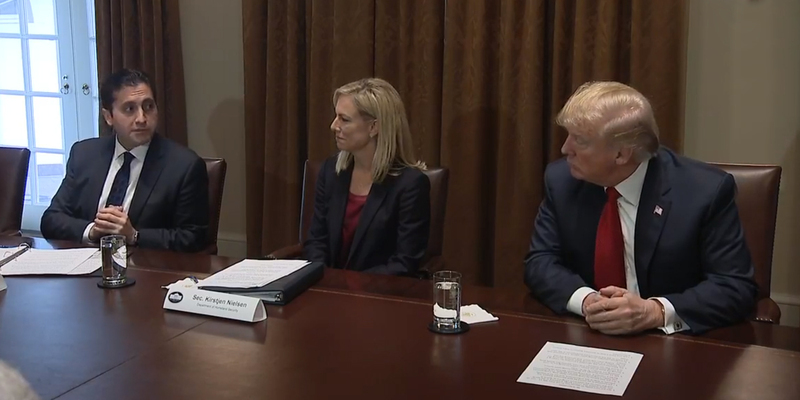 President Trump’s dedication to angel families – those who have lost loved ones to violent criminal illegal immigrants – is stronger than ever, as the illegal immigration debate takes center stage. This week, President Trump hosted a White House conference on the scourge of violence perpetrated by MS-13 nationwide and signed a Presidential Memorandum that establishes the National Vetting Center. The center will identify individuals seeking to enter the US who represent a threat to our national security, border security, homeland security, or public safety. President Trump will take every step possible to protect all American families from such heinous violence in the future. At the State of the Union address last week, President Trump asked Democrats to join him in standing up for America. What did they do? They just sat there…and sat there....and sat there. 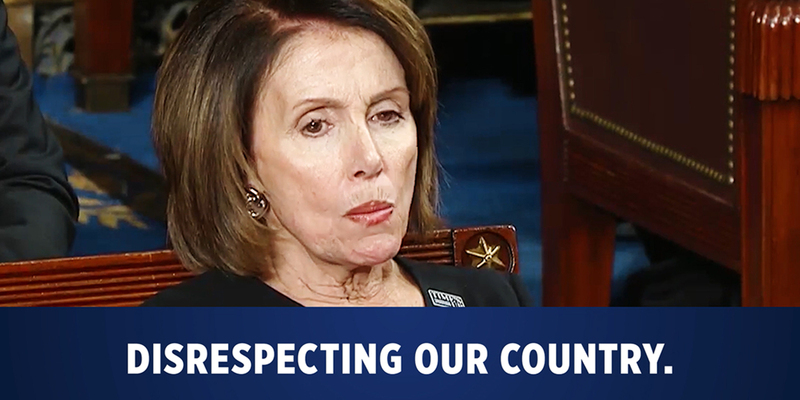 That’s why we highlighted the Democrats’ disgraceful acts of disrespect in our latest campaign ad. And while they sat in protest of helping all Americans, a whopping 75% of the country supported the President’s State of the Union address, including his call for unity. The President is undeterred as usual, and won’t let anything stand in the way of our success as a country…including sitting Democrats! Watch the ad by clicking here. Have you looked at your paycheck lately? It’s February, which means that hard-working Americans will now be able to see their tax cut pay raise for the first time. The President traveled to Cincinnati this week to deliver the great news about our booming economy and the growing impact of his historic tax cuts. 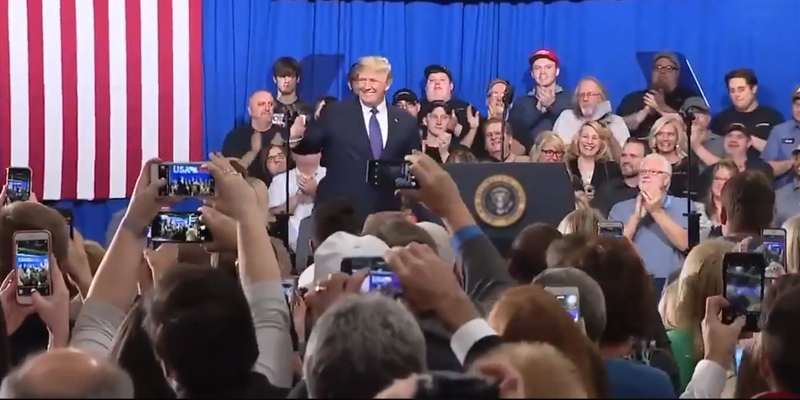 This presidential visit occurred as more and more American companies are reporting new bonuses, wage increases, and billions of dollars of investments in our economy, as a direct result of the President’s tax cuts. And no, we’re still not still not tired of winning yet!